Prologue: I have been away for about two whole months. I’ve been very busy, life has been kicking my rear once again (but in a good way). I bought a new place and I am currently in the process of selling my previous residence. I’m also helping my mother with various legal matters, I have been awfully busy with work, I recently moved to said new place and I’ve begun to write a science fiction novel (though it’s developing very slowly). I don’t expect my presence in this blog to augment very much in the near future, but I do certainly hope I can at least post something once or twice a month. Cheers to those who still follow. I’ve missed you. Below you’ll find thoughts I wrote down fervently right after watching Life Itself for the first time about a month ago. Sadly, I did not find the time (or the will) to post these thoughts in review form at the moment they occurred. So, in lieu of a standard film review, I give you the largely unrevised gut-reaction I had right after watching the documentary about the great film critic I much admired. I gravitated towards Roger Ebert, I confess, due to fame and proximity. I lived in a city that called Roger one of its most distinguished residents. He was, after all, the preeminent film critic in the country, a former recipient of the Pulitzer Prize, and a longtime TV personality unlike any other in the business of writing and discussing the movies. If fame is often enough to capture one’s attention, it was the quality of his writing that kept me coming back. Ebert’s style was that of a plainspoken and blue collar kind of guy. He aimed not at pleasing the high society connoisseurs; instead he sought to find meaning and profoundness even in the silliest of films with language that was accessible to the masses. Roger was a man that I often disagreed with, but whose taste in movies was always secondary to his ability to communicate ideas and to deconstruct any film down to its simplest qualities. Roger Ebert was a giant of social media. He had over 800 thousand followers on twitter at the time of his death. It may not sound impressive to a worldwide famous pop star, but it feels like quite a bit for a mere film critic. Despite reading his critiques week after week, Roger was an author of which I knew little about. His writing I processed without prior judgements. Of the person of flesh and bone I knew little until his death became imminent. For years, he was a source of wisdom and inspiration, but one clouded in mystery. His work, as a result, spoke for itself. When I watched “Life Itself” I could not help to feel I had missed out on something. There was in Chicago a film critic I looked up to that I never bothered to get to know, to reach out to, or to try to engage in the annual Ebertfest. There were opportunities at the Gene Siskel Film Center, or at premieres, or a festivals. I never participated. I always found an excuse. His death hit me in a rather surprising way. Unknowingly, I had developed a bond with someone I had never met. It was in the act of reading his reviews, hundreds of them, that I grew to know the person in between the lines even if I knew little of his personal affairs. Life Itself does that too. It creeps slowly, gently introducing to us a man that lives in pain, without a jaw, without the ability to eat solids, speak or even walk without assistance. He is at the end of the line, yet his face transmits joy and strength. Faced with the unbearable prospect of no longer having a voice, Ebert embraced his writing with the kind of fervor one expects to find in a much younger and healthier man. Surprisingly, Life Itself is not shy to speak of Ebert in less than complimentary ways. Within the first half hour of film we are introduced to an alcoholic, an egomaniac and a man of many women. He hung out with the boys of the Sun-Times at a local dive bar and he cherished the opportunity to speak, if only to hear the sound of his own voice. When he was given a TV show he spent a great deal of time picking silly fights with Gene Siskel, his partner on screen, as the staff was forced to patiently wait for both to cut the bulls***. As it often happens though, time and gravity soften the physique and the soul. 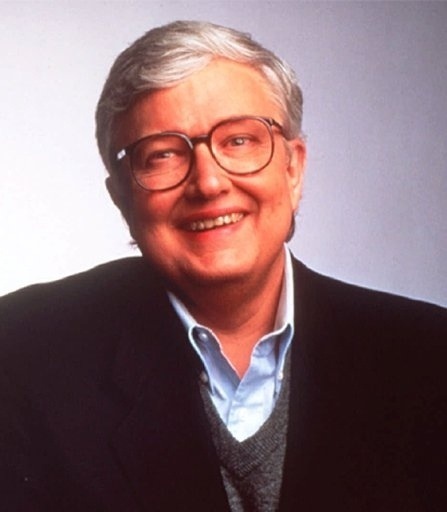 Roger Ebert finally settled down at the age of 50. Not long before that he had begun to develop a bond with Siskel, and he never once had another drink ever since he decided to quit. Roger changed, and so did his writing. When he saw the movies in his late years he began to pick at the good more often than the bad. Roger had not chosen to become a kinder and more generous critic; it happened naturally and without trying. Some might criticize the reviews he wrote in the late years of his life for being too “nice”, but they miss the point that Ebert had shed a huge part of his ego with maturity and had become less petty, often choosing to see the positives rather than the negatives. With time and with age, he not only gained wisdom but he learned how to love and he was loved back (by many) until the very end. I only hope I can be half as lucky. It was an excellent documentary. Even though I didn’t read his reviews as much as you did I did buy a couple of books of his and always was interested in reading what he had to say. Nice tribute to a man who was an inspiration to many. He never gave up. I too liked how the doc showed both Ebert’s good and not so good character traits. Sometimes these documentaries are too one-sided in praising an individual, this one felt more balanced.